VA - Dreamboats And Petticoats The Golden Years (4CD, 2018) | Free eBooks Download - EBOOKEE! Universal Music On Demand is designed and signed as a reference on your choice of several exchangers file. Across 100 sparkling tracks, Dreamboats & Petticoats - The Golden Years is a dazzling celebration of the heyday of swinging rock n roll, pop and Merseybeat, a journey through a golden age of innocence and a lifetime of memories. 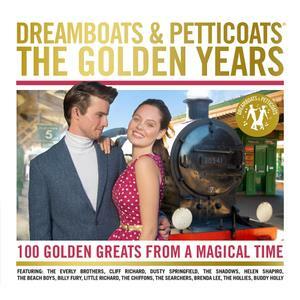 With wonderful hits from The Everly Brothers, The Shadows, Dusty Springfield, Cliff Richard and many more, The Golden Years is the newest album in the beloved Dreamboats & Petticoats series. No comments for "VA - Dreamboats And Petticoats The Golden Years (4CD, 2018)".